This small accessory was just the touch I needed for my costume. This excess we was great fun! I found some fake cigarettes that fit into it perfectly and it really made the outfit! Perfect accessory to the costume! I chose this accessory for a Halloween cruise in which I am going to be a flapper girl. Light weight and will complete the theme. This cigarette holder is really cheap and doesn't stay together very well, but it'll get the point across for my costume! This item is somewhat cheap....the white tip that goes in your mouth fell apart right away, had to clue it to stay on. Loved this as an add-on to my costume! 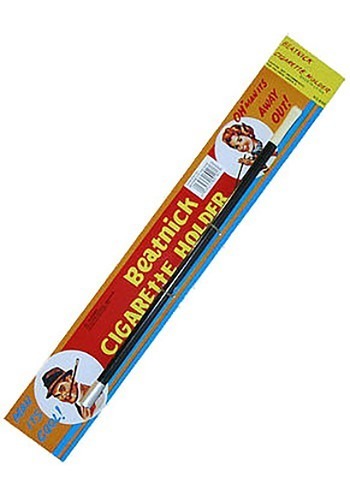 This cigarette holder was super nice and went along great with my 1920s flapper costume!